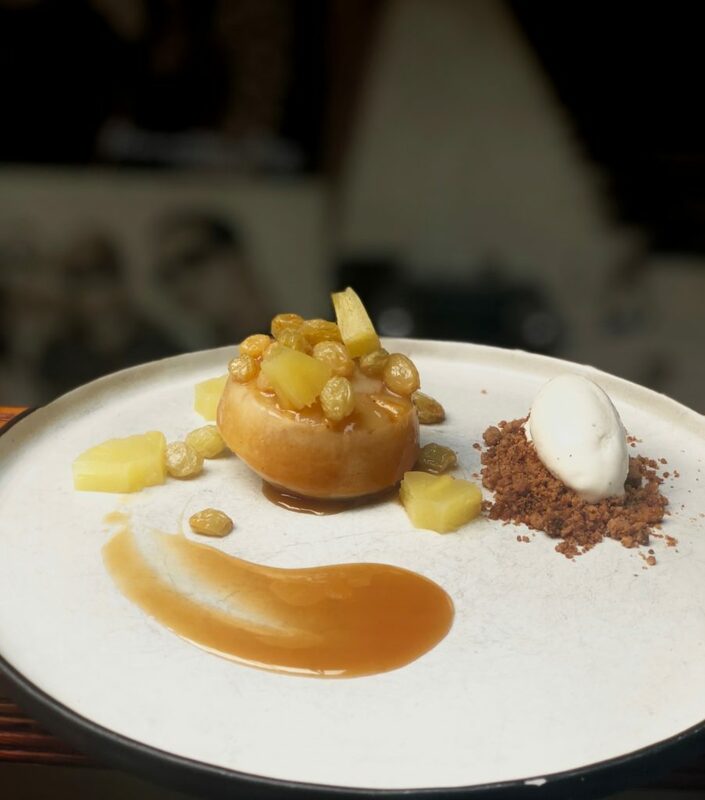 Springtime: a new season, fresh produce, and exciting dessert menu at the Garage Kitchen + Bar. 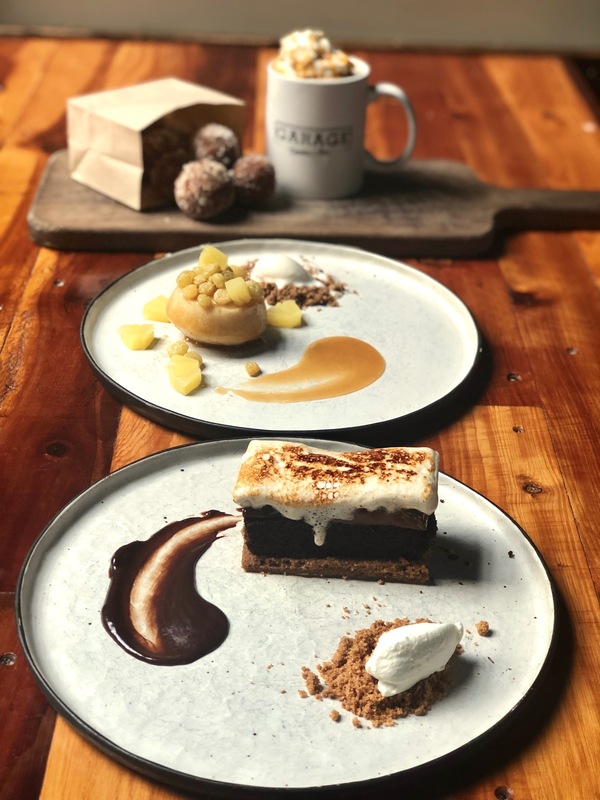 Pastry Chef Sara Gonzalez has changed the dessert game with all made-from-scratch ingredients with a contemporary take. 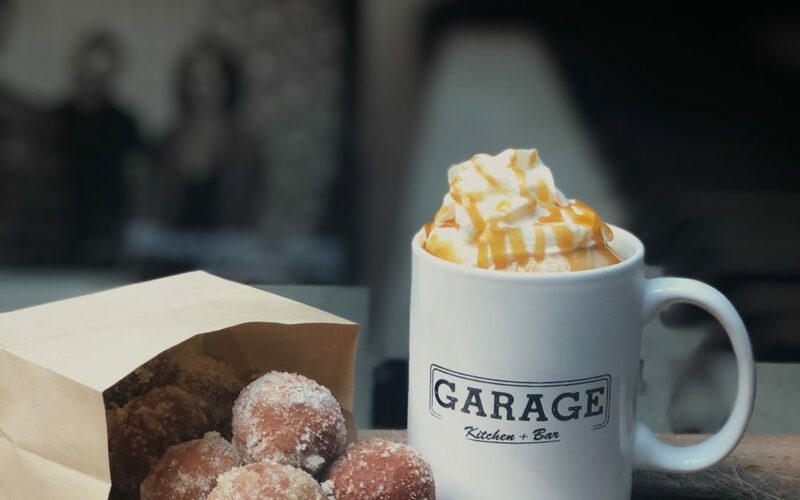 The Garage Kitchen + Bar introduces three exciting and varying plates guaranteed to entice anyone’s palate. After the cold – or for us San Diegans, 60 degree – winter months, the best thing about Spring is the warm weather and chance to get outside! San Diego is a city full of healthy individuals who love to explore Mission Trails on hiking and camping adventures. And what’s more quintessential to camping than a good S’more? If you don’t get the chance to hit the trails, settle in at Garage Kitchen + Bar for our new “The Garage Bar”. A rich Belgium chocolate cake with crunchy graham cracker brings you back to those childhood memories. 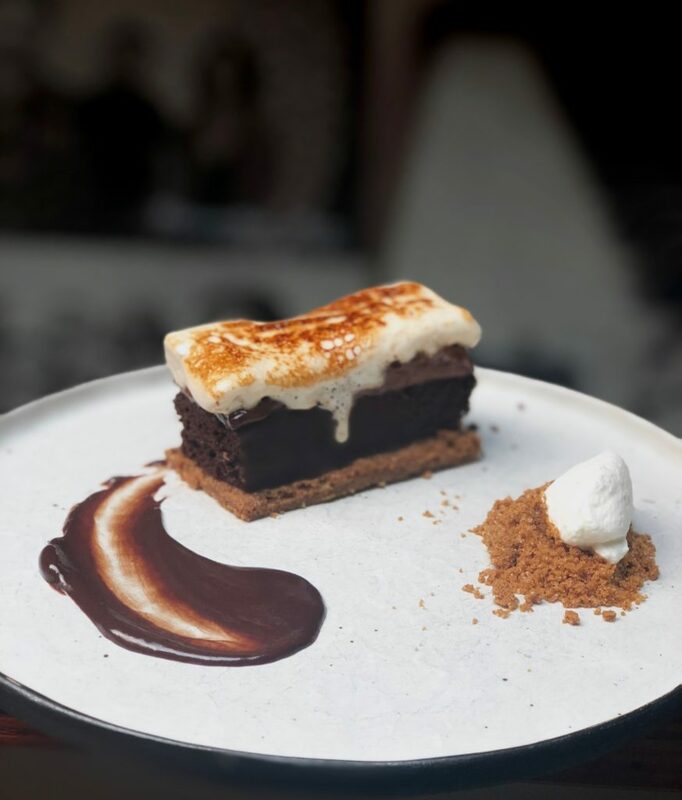 Creamy chocolate sauce adorns the side of the cake, served with fresh whipped cream and a torched marshmallow on top reminds you of that cozy campfire. Reminisce around the table with friends and indulge in a new take on a classic everyone knows and loves. Spring is the time for colorful foods and fresh produce. We wanted to make a dessert that will make you leave feeling satisfied in the best possible way. We started with a compressed pineapple, bringing a sweet and light texture to our vanilla cake. Then we integrated rum – note the “Drunken” name – into every single ingredient. Who says you can’t have fun with your cake and eat it too? The rum-spiced raisins offer a tang with hints of ginger while the fresh vanilla bean ice cream cools it back down. Soak in the sweet springtime sunny weather and cool down with this refreshing, boozy dessert! Can you name a more iconic duo? These two are known as a way to start your day, but we say why limit this amazing pair to just a quick on the go breakfast? Take a seat and indulge in warm, light and airy donut holes. Brioche dough tossed in sugar is served to you with an enlivening espresso gelato right out of our good old-fashioned coffee mug. Caramel is drizzled ever so smoothly over the light vanilla whipped cream to make it the best way to start or end your day! Learn to enjoy your “Coffee & Doughnuts” in a whole new way. *Here’s a fun fact: You can get your Coffee & Doughnuts fix for only $6 on Thursdays! If you want to fully experience the best of what this season has to offer, make sure you save room at the end of your meal for these new dishes. 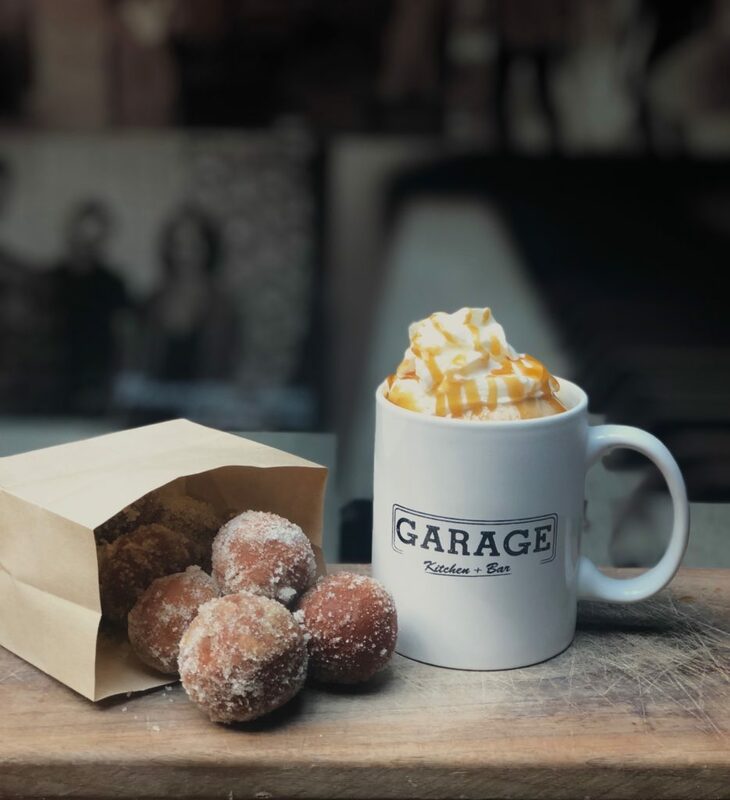 Celebrate the new season with these sweet treats at the Garage Kitchen + Bar.